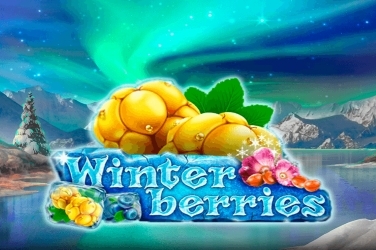 The Silver Fang slots game gives players the feeling of being in the Canadian Mountains. Its set within a barren snow covered land lined with trees. A Wolf is the main animal of this Microgaming online casino game as is depicted as one of its main symbols. 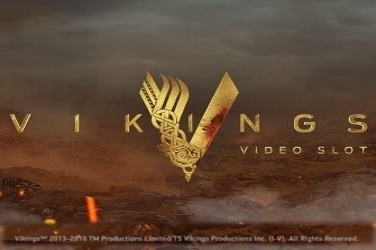 Other symbols that are used in the game include a Caribou, the Silver Fang Logo, and 10 through to Ace. An icon showing the Wolf howling at the moon is the Wild in the Silver Fang slots game. It’s Paw Print acting as the games Scatter. 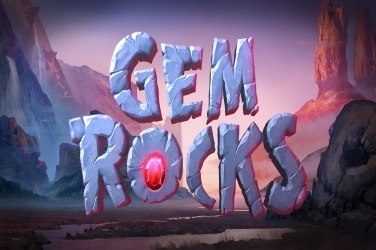 This online slots game has stunning detailed graphics, along with toe-tapping background tunes. All the icons in the Silver Fang slots game are animated, all additional features which makes gameplay even more enjoyable. The most impressive of these animations is when the Wolf Wild is used in a winning combination. Then the players will hear his howls above the sound of the music as his symbol draws closer. 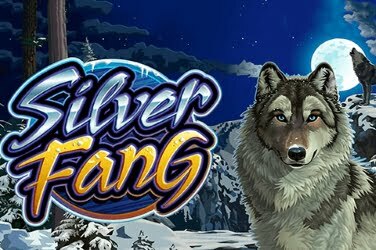 Players of the Silver Fang slots game are able to use coin sizes beginning at $0.01 and rising to just $0.05. 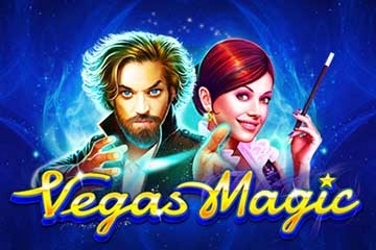 This means that this Microgaming release is popular with beginners and low rollers. 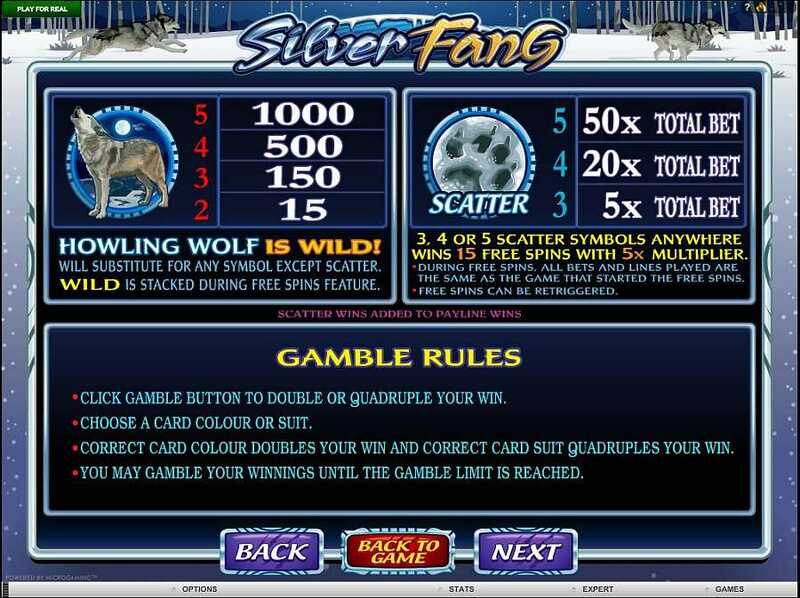 A Wolf howling at the moon is the Wild symbol for the Silver Fang slots game. When it appears during a spin it is able to change symbols other than the Scatter. 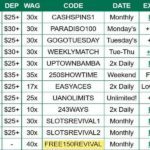 This can create more of the 50 winning paylines that this game promotes. 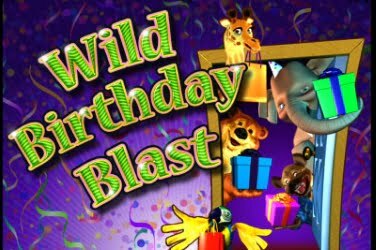 Although the Wolf Wild doesn’t provide a Multiplier, it can be found across all 5 reels of this Microgaming online casino game. So there are plenty of chances for players to add to their winnings. The Scatter in the Silver Fang slots game is shown as the Paw Print of the Wolf. When these are revealed during game play the player is awarded a Scatter Pay-Out. 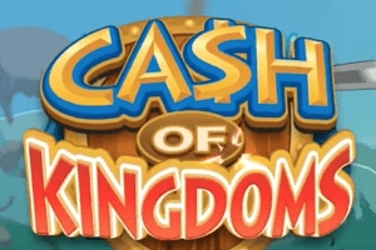 The highest of these can be achieved when 5 Scatter symbols are spun, giving the player an additional 50 coins. 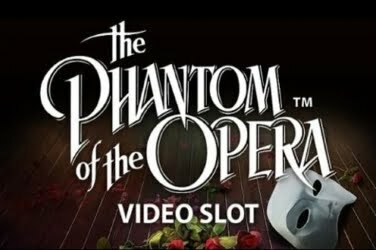 When 3 or more Scatters appear upon the reels of the Silver Fang slots game the Bonus Round is activated. 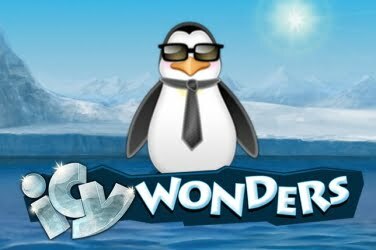 Here the player is given 15 Free Spins, along with a 5x Multiplier added to any winnings. Should the player be lucky enough to reveal the Wolf Wild symbol during the Free Spins Bonus Round they immediately become stacked. 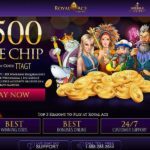 Meaning that they can stack up the rows of the game to create more winning paylines. 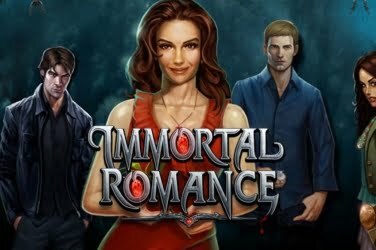 There is also a Gamble Round that players of the Silver Fang slots game can take advantage of. Here the player can guess the color and suit of a down turned card. If they guess correctly any winnings are either doubled or quadrupled depending on the players gamble. 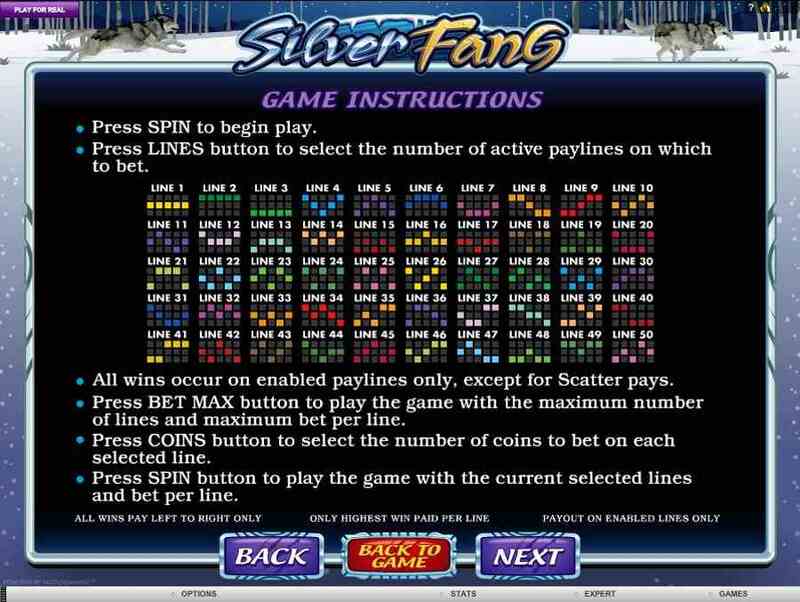 Before spinning the 5 reels of the Silver Fang slots game, players are asked to place a wager. 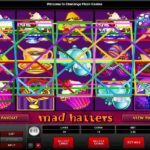 Using coin sizes of $0.01 to $0.05 it is possible to place up to 10 coins on any of the 50 winning paylines that this Microgaming online casino game has. Once the reels come to a stop, players can create more winning combinations if they have revealed either the games Wild or Scatter symbol. The Wild can change other symbols, which can help to add to the players winning amount. A Paw Print Scatter will not only give the player a set pay-out, but also activates the Free Spin Bonus Round. 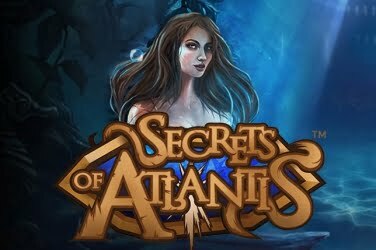 With 15 Free Spins which can be re-triggered at any point, players can enjoy an even higher jackpot figure. 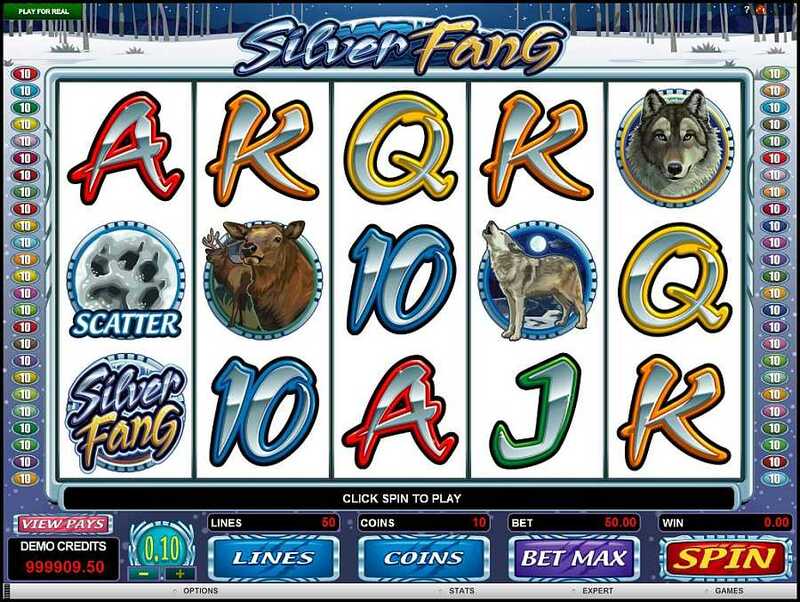 Players of the Silver Fang slots game can also take advantage of the additional Gamble Round. By guessing correctly on a down turned playing card, any winnings can be given a x or 4x Multiplier. It is possible to play the Silver Fang slots game in Expert Mode. This means that players can adapt the game to their own personal preference. Whether it be the volume of the audio, or the speed at which the reels spin, the player can decide. 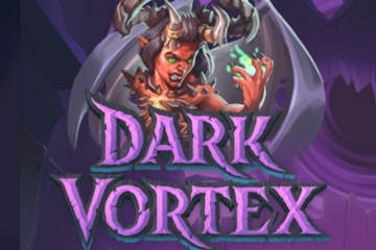 If Silver Fang slots is in Expert Mode it is also possible to set the game to Auto-Play. The reels of the game can be set to spin automatically either 5x or 10x, or to stop once the maximum wagered amount is met.